From Matthew Anderson’s perspective, the progression from becoming a Chartered Professional Accountant to becoming the co-founder of a robotics company is entirely logical. 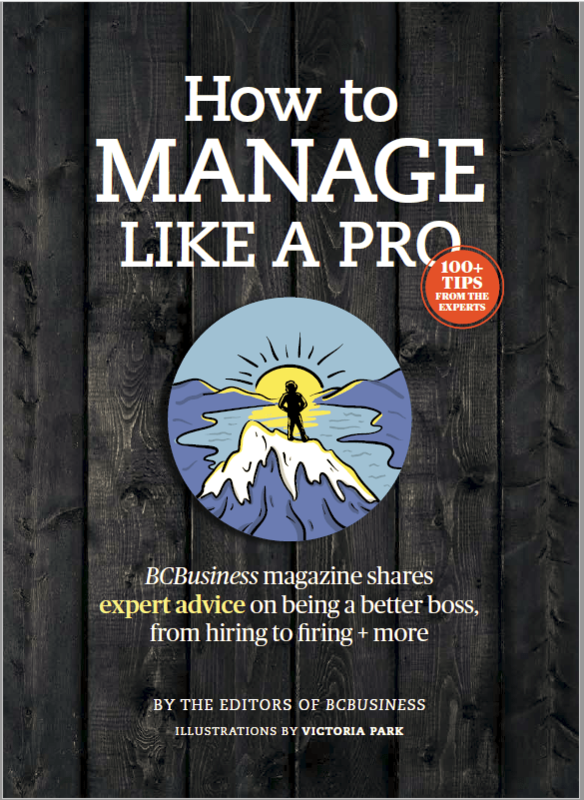 “Working as a CPA gave me enormous insight into how businesses work and how they must be structured to succeed,” he says. The scientists, entrepreneurs and engineers of Anderson’s Vancouver-based company, A&K Robotics Inc., design and build intelligent robots with the aim of changing the world through automation. 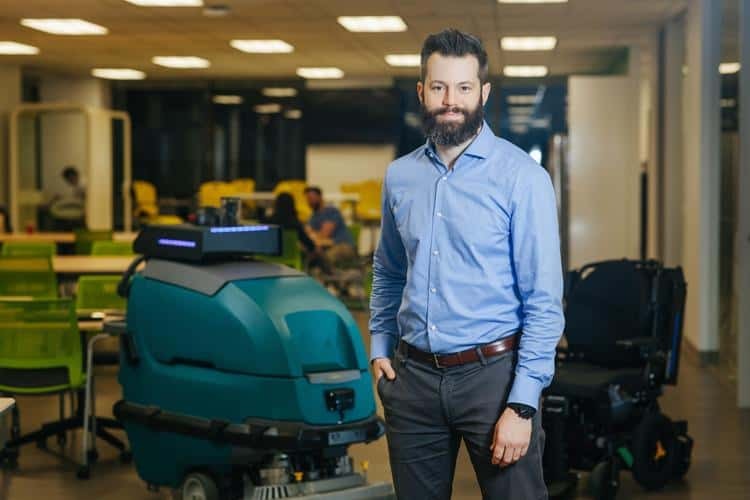 To date, A&K has deployed floor-cleaning robots to great effect in the janitorial sector and is developing self-driving vehicles that could be used in airports, hospitals, seniors’ care homes, and as an adjunct to transportation networks. For Anderson, a tech enthusiast who has been fascinated by robots since childhood, all of this is the happy outcome of a career trajectory that began in 2001, when he decided to get into accounting. “I’ve always seen myself as an entrepreneur and had tons of business ideas. Accounting was an ideal way to learn forensically how businesses work and surround myself with talented hardworking people all shooting to be the best they can be.” Anderson looks back at the friends he’s made along the way, and attributes his achievements to the learnings he gained from the business and community leaders that he’s met over the course of his career. After obtaining his designation in 2011, Anderson worked for a Crown investment corporation that focuses on supporting local businesses and entrepreneurs; became a financial analyst with mining giant Rio Tinto; and was chief financial officer of Arbutus Medical, a startup democratizing safe surgery by developing and bringing affordable medical devices to surgeons around the world. “Leveraging diversity and the strengths of others was the name of the game. I surrounded myself with people who were smarter than me, and then I would ask myself, ‘How can I contribute to the success of these people who are working so hard, so driven and so passionate?’ Discovering the stories behind the decision-making and numbers of these companies whetted my entrepreneurial ambitions,” he says. Eventually, Anderson gained enough knowledge and the time was right to strike out on his own. He chose robotics after realizing that this was his biggest passion, and seeing its potential for positive impact around the world. Intent to get his foot in the tech door, Anderson became part of a team that won Global Startup Battle in 2014—sponsored by Google—by designing a platform that converted 2D concepts to 3D models for engineers, designers and artists. “After that, people in the industry were handing me their business cards and that, combined with the business experience I had gained as a CPA, made it feasible for me to launch A&K in 2015,” he says. The company, buoyed by international capital investment, quickly grew from three founders to more than 20 employees. With A&K’s robots and self-driving vehicles poised to constructively impact society, Anderson loves to promote the manifold options available to CPAs in tech and other sectors whenever he and his team give lectures at schools. “In and of itself, the designation provides so many diverse employment opportunities, and what you learn as a CPA—from investment analysis to financial reporting, and everything in between—is a terrific foundation for any type of company you may want to launch in the future,” he says.